Thoroughly enjoyed #ROHBoccanegra last night. Hrachuhi Bassenz making an even more favourable impression on me than she did as Adriana, Carlos Alvarez and Francisco Meli having all the right ingredients for their roles, and Ferrucio Furlanetto dramatic and imposing. Terrific. 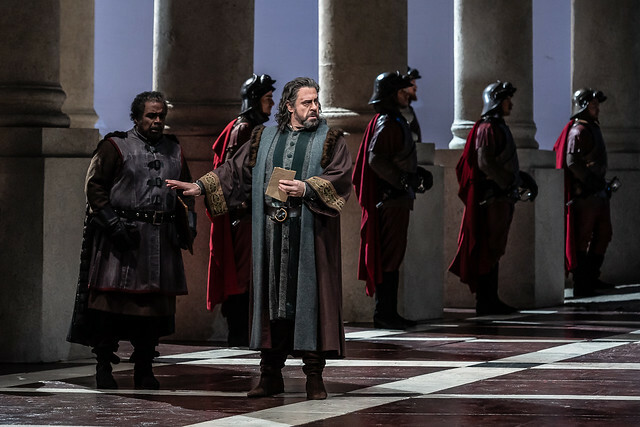 What did you think of Simon Boccanegra? Simon Boccanegra runs from 15 November—10 December 2018. Tickets are still available. Some impressive singing from main soloists and chorus but production starting to look tired and dated. 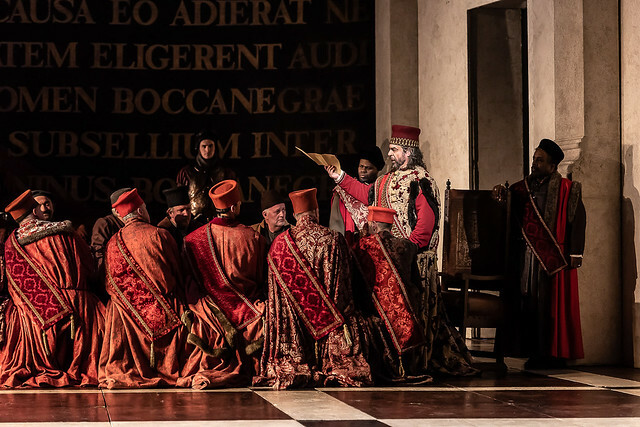 This first night of Simon Boccanegra was terrific, with fantastic singing from the principals and chorus, it was a brilliant start to my 40th season at ROH. The production looks as good now as it did when I first saw it when it brand new in the 90’s, long may it last. I agree with much of what Peter says. I thought the opening night was a great evening at the opera. The staging looks as good as ever and one of its great qualities is that it allows the music and the singing to tell their own story. It was great to hear Carlos Alvarez once again on the Covent Garden stage. I have been lucky enough to hear and see him regularly in Vienna and once again he did not disappoint. Such a wonderful opera. An amazing evening and I endorse everything written by the the Reviewer in the Guardian. The poor review in the Times makes no sense to me. I was at the 3rd performance last Saturday and endorse all the above comments. How good to see a traditional production which makes sense and doesn't get in the way of the music. And what excellent singing throughout! A lovely evening from one of my favourite Verdi operas. And good to see curtain calls in front of the red curtain as in the old days....plus a lobbied bouquet of flowers too. Congrats to all performers for keeping going when one of the barriers collapsed in the ampitheatre in Act 1 and made a hell of a din!. 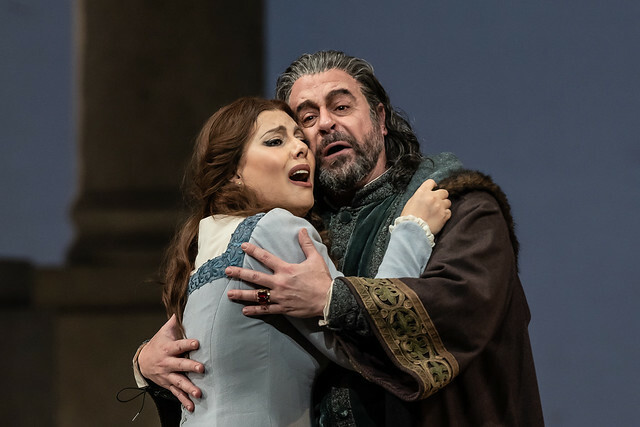 Tim Ashley's review in the Guardian captures the production very well.I would add that Francesco Meli did threaten to spoil the performance with his strident singing, overbalancing the otherwise terrific cast. I don't think he understands how to convey the lyrical qualities of this piece, as Calleja did so perfectly when he sang the role here. And I was wondering if Bassenz would get through her initial aria without disaster, though she sounded heavenly thereafter. But Alvarez and Furlanetto were superb, and everyone I spoke to loved the old production: it still looks great. I'm often baffled by the critics, but to give this splendid show a miserly 3 stars - as did most paid reviewers - is simply bizarre. I agree with Stella about Meli who provided the only switch-off moment of the evening as far as I was concerned, but everyone else was splendid. Alvarez, oh my goodness when can I hear him next, and Furlanetto always a pleasure to hear. As for the production, I found it stately rather than "static" as one reviewer claimed. He should try jumping around in Renaissance dress. I loved this, as did everyone I heard discussing their evening during and after. the performance. Well done, ROH.